Peruvians are proud of their country’s geographic diversity. If there’s one thing that most school kids remember, it’s the mantra of costa, sierra y selva: coast, highland, and jungle. These geographic zones run from north to south across the nation, dividing Peru into three regions of distinct natural and cultural characteristics. Peru’s Pacific coastline stretches for 1,500 miles (2,414 km) along the western edge of the nation. Desert landscapes dominate much of this lowland region, but coastal microclimates provide some interesting variations. Lima, the nation’s capital, is located in the subtropical desert near the midpoint of Peru’s coastline. The cool currents of the Pacific Ocean keep temperatures lower than would be expected in a subtropical city. A coastal fog, called garúa, often covers the Peruvian capital, providing some much-needed moisture while further dulling the smoggy skies above Lima. Along the north coast of Peru, dry deserts and coastal fog give way to a greener region of tropical savanna, mangrove swamps and dry forests. The north is also home to some of the country’s most popular beaches—popular, in part, due to the higher ocean temperatures. Stretching out like the ridged back of a giant beast, the Andes mountain range separates the western and eastern flanks of the nation. Temperatures range from temperate to freezing, with snow-capped peaks rising up from fertile intermontane valleys. The western side of the Andes, much of which sits in a rain shadow area, is dryer and less populated than the eastern flank. The east, while cold and rugged at high altitudes, soon plunges down into cloud forest and tropical foothills. Another feature of the Andes is the altiplano, or high plains region, in the south of Peru (extending into Bolivia and northern Chile and Argentina). This windswept region is home to vast expanses of Puna grassland, as well as active volcanoes and lakes (including Lake Titicaca). 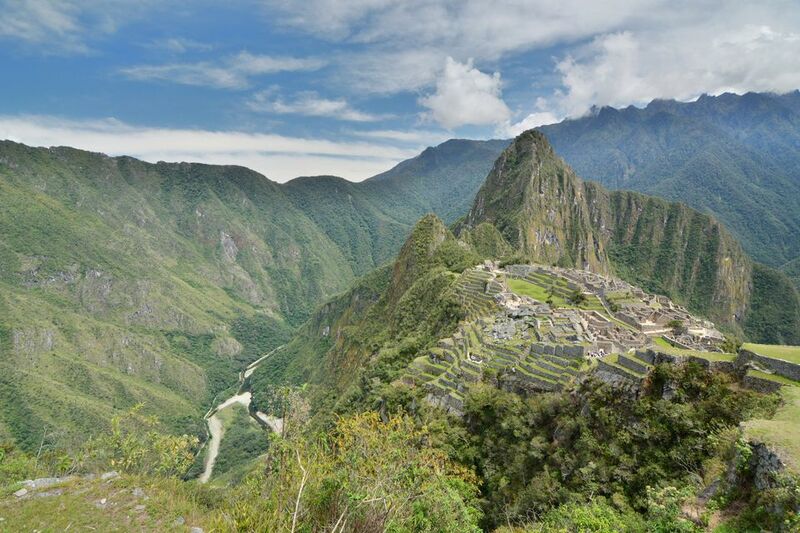 Before traveling to Peru, you should read up on altitude sickness. Also, check out our altitude table for Peruvian cities and tourist attractions. To the east of the Andes lies the Amazon Basin. A transition zone runs between the eastern foothills of the Andean highlands and the vast reaches of the low jungle (selva baja). This region, which consists of upland cloud forest and highland jungle, is known variously as the ceja de selva (eyebrow of the jungle), montãna or selva alta (high jungle). Examples of settlements within the selva alta include Tingo Maria and Tarapoto. East of the selva alta are the dense, relatively flat lowland jungles of the Amazon Basin. Here, rivers replace roads as the main arteries of public transport. Boats ply the wide tributaries of the Amazon River until they reach the Amazon itself, stretching past the jungle city of Iquitos (in the northeast of Peru) and on to the Brazilian coast. According to the U.S. Library of Congress’ Country Studies website, the Peruvian selva covers about 63 percent of the national territory but contains only 11 percent of the country's population. With the exception of large cities such as Iquitos, Pucallpa, and Puerto Maldonado, settlements within the low Amazon tend to be small and isolated. Nearly all jungle settlements are located on a riverbank or on the banks of an oxbow lake. Extractive industries such as logging, mining, and oil production continue to threaten the health of the jungle region and its inhabitants. Despite both national and international concerns, indigenous peoples such as the Shipibo and Asháninka are still struggling to maintain their tribal rights within their jungle territories.